Dieting is hard. Really hard. It requires focus, discipline, persistence and most of all, an unyielding desire for results. Any major slip up and it can be game over. Additionally, the stress of adding a diet to an 80 hour work week can be extremely overwhelming. Fortunately, there are a few bad eating habits that you could change right now to clean up your diet, no matter how busy you are. Here are my top 7 easy tips to kick-start your healthy eating habits, without having to deal with the pain that comes from following a strict diet. The good news is, you can fix all 7 of these things, even if you work 80 hours a week! The beverage industry is a billion dollar entity. Soda, juice, flavored milk, ‘vitamin’ beverages, frappuccinos, power drinks, etc etc. These beverages are full of empty calories with little to no nutritional value. Furthermore, the sugar and carbohydrate content in some of these drinks are astronomical. A Dr Pepper has a whopping 65 grams of sugar! Liquid calories are extremely easy to overdose on, so you must be very cautious when choosing a drink. Check out this piece by WebMD illustrating the different types of drinks that have the same amount of calories as soda. Diet versions are not ideal either. They are often loaded with artificial sweeteners which gives your body a sense of reward, just as natural sugar would. As a result, you are more likely to continue craving sweets and other sugar-laden items. Try your best to drink water. Water is the elixer of life, and the only beverage that your body actually needs to thrive. If you must have a flavored drink, choose unsweetened teas, or fruit infused water such as water with lemons or water with cucumbers. Avoid soda and fruit juice at all cost. It still boggles my mind that people purchase juice by the gallon at Costco and other wholesale stores. And please, do not say that you do not like water. 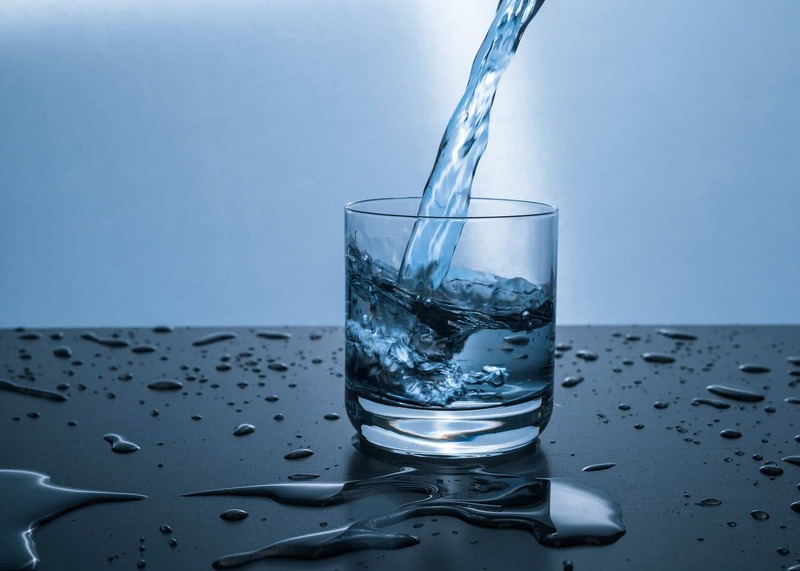 Your body is composed mainly of water. You are water. Give it a week, water is an acquired taste. It seems like ‘Subway’ has popularized the idea that you must have chips with your meal to make it complete. Chips are hardly ever good for you, period. It doesn’t matter if they are marketed as being made with real ingredients or they are ‘vegetable’ flavored. Chips are often loaded with unhealthy fat, usually in the form of highly processed vegetable oils like sunflower, canola or corn oil. These are the same oils used to deep fry French fries and other tasty treats that are bad for us. An easy solution is to substitute chips with the right kinds of fatty foods. We have already written about the importance of fat in your diet in How To Start Eating Clean, Even With A Busy Schedule. One easy way to increase your fat intake is to sprinkling your food with 1/2- 1 tbsp of extra virgin olive oil (EVOO). 1/2 tbsp of EVOO packs 7 grams of healthy fat which helps keep you full much longer, in a much healthier manner. In addition, olive oil has been linked to decrease risk of heart disease, and a decrease in inflammation because it contains a compound called polyphenols, a known anti-oxidant. I personally carry a travel size bottle of extra virgin olive oil with me to work so that I could add it to any of my meals that are lacking a healthy fat. Otherwise, use EVOO when cooking, and NOT canola oil, soybean oil or any other highly refined vegetable oil. Whenever you’re caught working late, evening hunger always sets in. This is the perfect time for a snack. Somehow, a vending machine is always conveniently located near you. Even better, they now accept credit cards! 95% of the items in vending machines are loaded with simple sugars that can that have very little nutritional value. Needless to say, nothing in the vending machine will help you get to your fitness goals. Avoid going to the vending machine by packing emergency snacks. These are only to be eaten whenever your food options are limited and you cannot ignore your hunger. Choose something that is high in fat for longer lasting energy and better satiety. 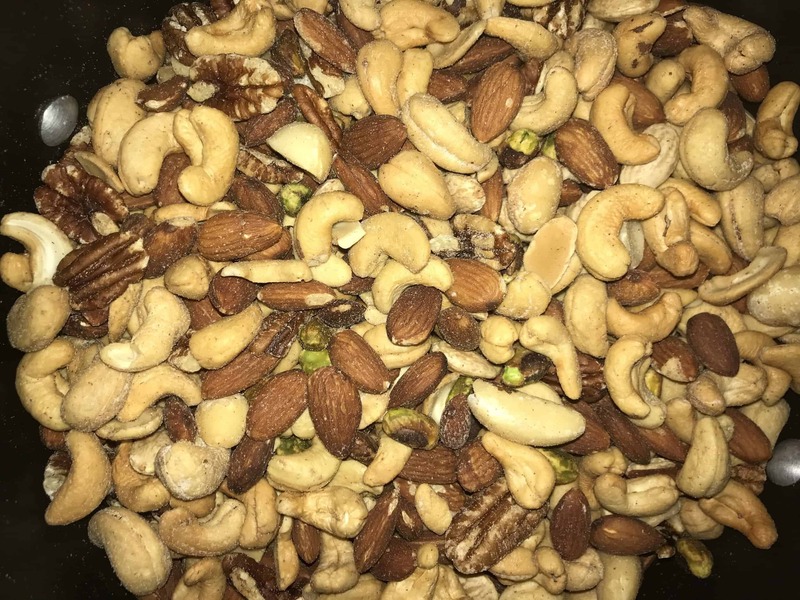 Nuts are an excellent choice here (almonds, pistachios, cashews etc). Other options include nut butter packets, dark chocolate (85%) or simply an avocado (if you can’t tell by now, we love avocados). We also pack homemade protein bars which are full of healthy fats, healthy carbs and a small hefty dose of protein. Current guidelines recommend that adults should consume 3-5 servings of fruits and vegetables every day. If you’re like most people, you probably consume anywhere from 0-2. We were the same way. If you struggle to consume enough of this essential food group, you could benefit from making what we call the WCT power smoothies. These are pre-packaged smoothies that we meal prep in bulk, and store in the freezer. Drinking your veggies is easy and convenient. Chop them up into small pieces. Place them in a zip-lock bag and freeze it. Each morning we take out a packet, add water and blend it together. We then place it into a portable cup and take it with us to go. We always use the Nutribullet blender. We also add in extra toppings such as chia seeds, pumpkin seeds, hemp seeds, almond butter or protein powder. Power Smoothies are by far one of our favorite breakfast options. They are jam packed with nutrients, and full of fiber. Mix and match different fruits and veggies to find awesome blends. Feel free to add other ingredients of your choice to increase flavor or satiety. Just be sure to use more vegetables than fruits. People often believe that condiments, sauces, and spreads are negligible when it comes to their caloric content. While this is true in some cases, we generally use way too much of them. If you look at the nutrition label, the serving size is typically one tablespoon. A tablespoon isn’t much. Take a look at your thumb. That is roughly the size of a tbsp. Now compare that to the amount of salad dressing that you actually use. What about ketchup? Or mayonnaise? It’s not uncommon to use 3 or 4x the intended amount. 3-4x the recommended serving size could easily be upwards of 200 calories! In addition, these calories are often in the form of simple sugars, one of the lowest quality foods available. 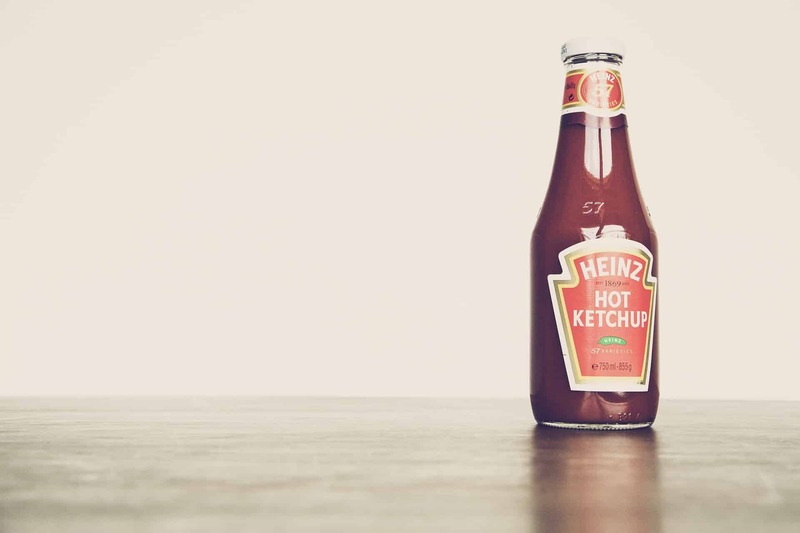 Try your best to avoid using any condiments, sauces or spreads as much as possible. Its always unfortunate when people buy a salad in an effort to be healthy, but then douse it with a gallon of some processed dressing. If you have to use them, use them in moderation. Only use just enough to give an added taste to your meal. Otherwise, just use the thumb rule to ensure that you are only consuming 1 tablespoon. In addition, you can use other high quality condiments instead. Can you guess which ones are our favorites? The ones that contain healthy fat of course. Olive oil pesto (which is made from pine nuts), and Tahini, (which is made from seeds). You can also use guacamole. Put down that Cesar salad dressing! As we mentioned in The Importance Of A Balanced Diet [3 Key Principles You Need To Know], most foods can be categorized into one of three macro-nutrients. Carbohydrates are the most abundant foods in our society, and we get it from many different sources. The most common types are the starches, such as rice, bread, flour, oats and other grains. Fruits and vegetables are also sources of carbohydrates but for the most part, these carbs can be counted in a different basket, as their caloric content is generally very small compared to the typical starch based carbohydrates. When making meal choices, do not double up on the carbohydrate sources. 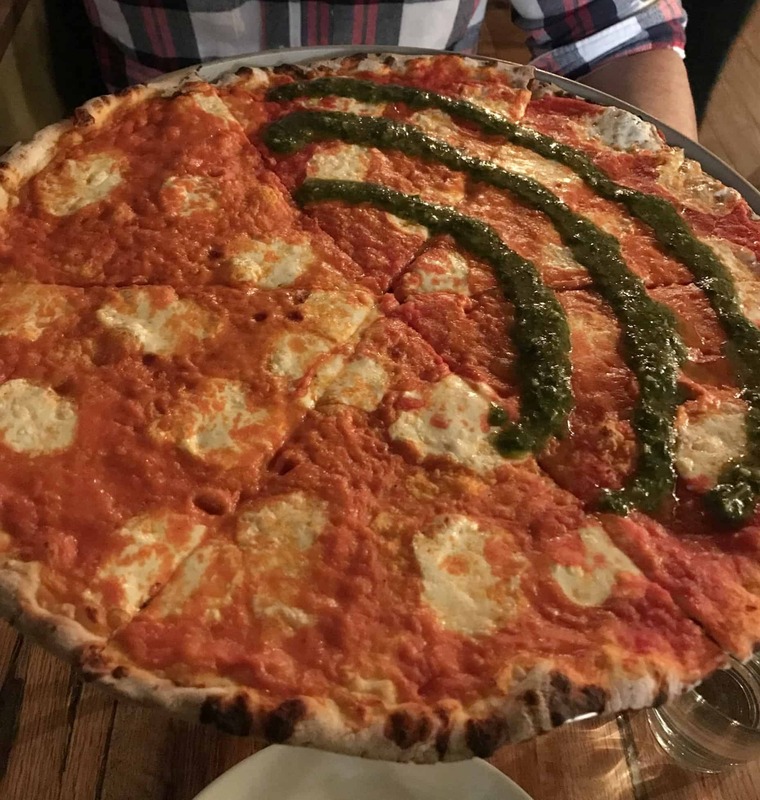 For example, if you are having pasta, do not add a cup of rice on the side. If you are eating a sandwich, do not get mashed potatoes on the side. We are not condemning any specific foods, but be mindful of making your meals more balanced. Instead of doubling up the carbs, add a little more protein, or a small amount of a healthy fat. Your body can survive without carbohydrates. Don’t believe us? Check out the Keto Diet where the goal is to consume less than 20-30 g of carbs per day. Of course there are always exceptions. Vegetables are the only exception. You can double up on any of the aforementioned carbs if you are adding a handful of vegetables to it. You are not perfect in anything you do in life, so there is no reason to expect perfection from your diet. It is important to have some fun. Allow yourself to have a cheat meal once in awhile. In fact, we don’t even like to call them cheat meals, because it implies that you are cheating. Instead we call them treat meals. There is no need to associate a purposeful treat meal with shame or guilt. Eat whatever you want, 10% of the time, or ~3 times a week. Understand what this means. It DOES NOT imply a whole day of eating junk – it means three meals, total. Aiming for strict perfection is futile and self-defeating. Treat meals help break up the monotony and can be viewed as a reward for being disciplined the rest of the week. Make a bargain with yourself. If you know that there is a party Friday night and you would like to eat whatever you desire, try and eat ‘cleaner’ earlier that day to balance out your overall food quality. Another common example is to choose a day of the week to plan a cheat meal. These tips are relevant to everyone regardless of what their goals may be. But what if you want to lose weight? Fortunately, there are a few more simple things that you can do to begin losing weight. 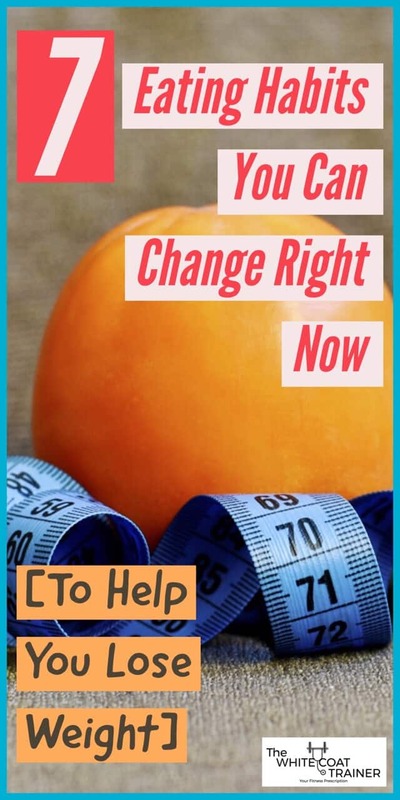 How To Lose Weight Naturally Using The Incredible Power of Food goes over simple dietary hacks you can begin to implement right now to jump start your journey. Don’t forget, your diet will make up at least 80% of your weight loss endeavors. You will never be able to out exercise a bad diet. What do you think of our list? Do you have any other tips to add to this list? Which one of these are you guilty of doing? 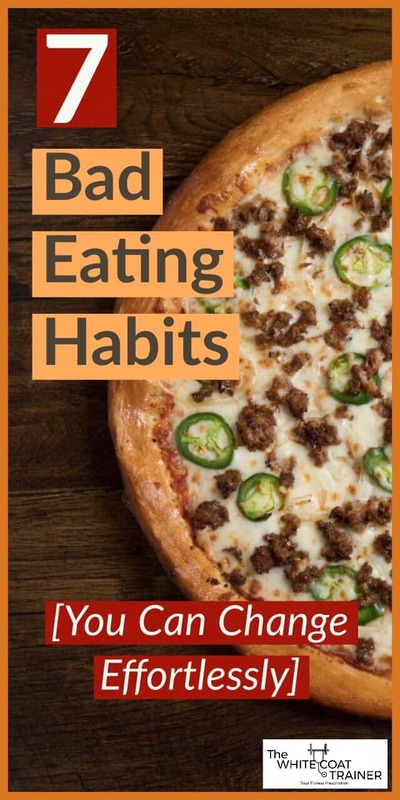 Will you use any of these tips to break your bad eating habits? Let us know by posting your comments and questions below. 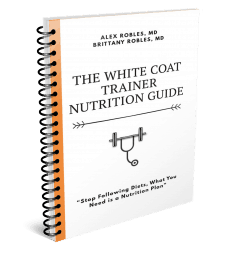 Don’t forget to share these 7 bad eating habits if you have found them useful, and subscribe to receive a copy of our free Ebook- The White Coat Trainer Nutrition Guide! Hello to both of you. I found your add today while reading the morning news on my iPad. What drew me to both of you is the pure and very sensible way to care for your health. I am a piano teacher and have been for many years, and now that I’ve reached an age where I need to move even more so, I need advise on how to stimulate my body during my lengthy hours of sitting and teaching as I have a very labor intensive week doing my profession. I have found how stiff I am getting and also my legs and knees seem to be much stiffer this year of all my years of teaching. My digestion has also started to suffer as I sit most of my day although I make it a point I rise hourly, stretch myself and legs, after each lesson. But this year has been my most challenging one health and leg wise. I always have been an avid walker, but this year my left knee has cramped much and I’m trying to find a way to lossen the joint, and also stretch correctly so I can get back to my longer walks. Is there any advise you can give me for bettering my overall day, in any workout, stretching, eating lighter digestive foods as I often make soups and eat during one lesson as my clients are one after the other. I love my work, and wish to continue this, but am finding it challenging when overall I see the effects of my long career has had on my body! I am now looking and have been to re-centering myself and health to fully swing back to where it was as my thyroid has also suffered some and I have recently put on weight I do not wish to carry! Thank you for any guidance your able to give me! I was very impressed with all that you both write and live by, add so much sense and is a very wise way to live and eat on a daily basis! I’m open to learning any new ways to continue well into my years with my life and my work which I love! Hi Dimitria,Thank you very much for the kind words. It sounds like you have identified one of your major issues – which is prolonged sitting and the ill effects that can have on your body. Joints tend to get stiff when they arent used to their full range of motion and when they are forced to do repetitive motions multiple times a day (which im assuming happens to you while you are doing your lessons)As far as advice- it sounds like you are doing the right things. Get up frequently and stretch – as much as you can. Also, drink A LOT of water. This helps keep your joints well lubricated and loose. Another thing you can do is a very light training program. Focus on using large range of motion exercises that uses the knee in a full range of motion – namely the squat exercise. Find a squat variation that you can perform pain free and work your way up. I Posted a video of squat variations on The "31 Day Exercise Challenge for Busy Professionals post." Work up very slowly and only do what you can tolerate. Practice this movement 3-4 times a week. As far as nutrition, it sounds like you aren’t eating very much. It is important to try and increase the frequency of your meals to provide your body with all of the essential nutrients. Use the tips outlined in this article and also the ones on "Dietary Weight Loss Strategies for Busy Professionals." Eating quick high quality snacks or foods in between clients will be very useful. Hope this helps. Good luck!